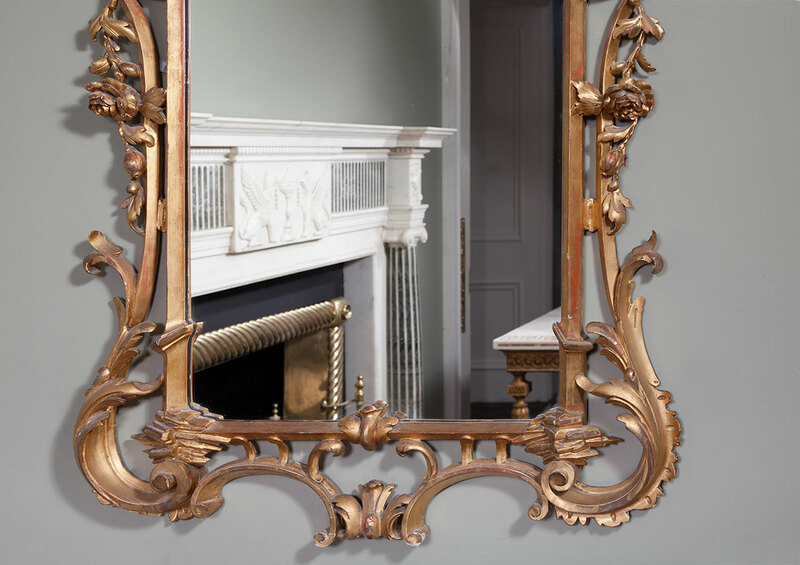 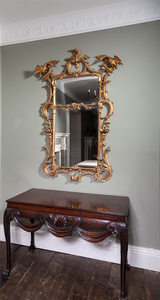 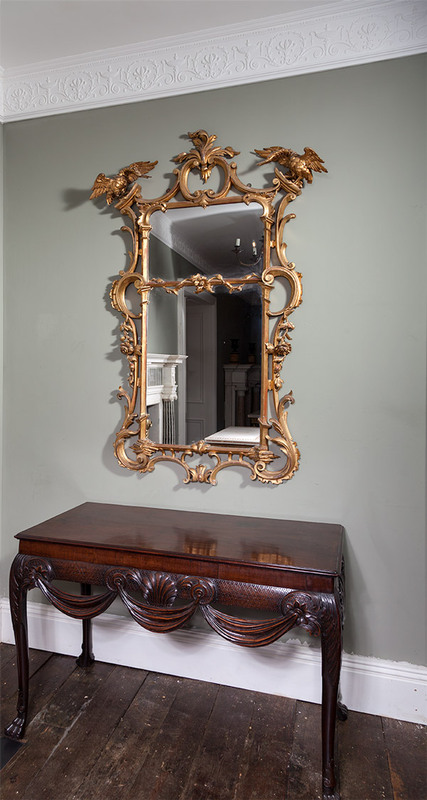 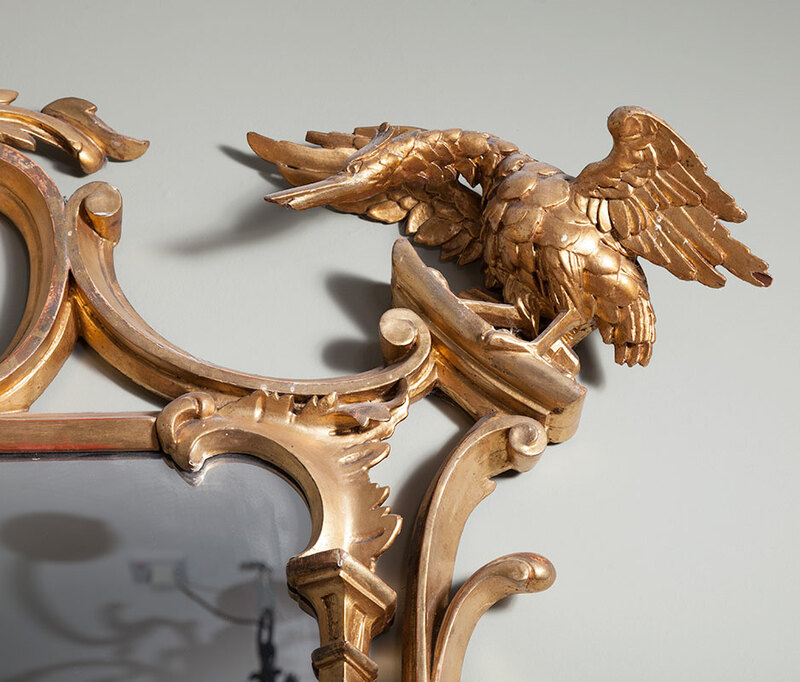 A very fine and impressive Irish carved gilt-wood pier mirror in the Chippendale style. 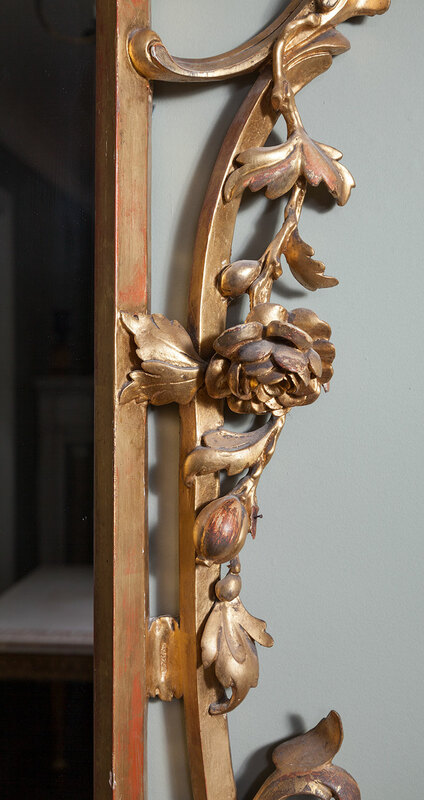 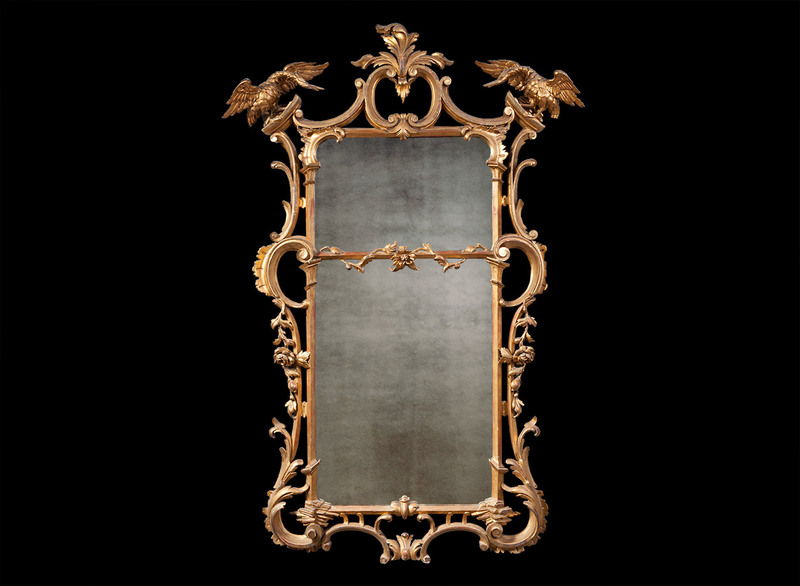 The mirror has an ornately carved gilt-wood frame with strands of flowers, C scrolls and rock-work. A centre cartouche is flanked by a pair of Ho-Ho birds standing on rocaille with wings spread.